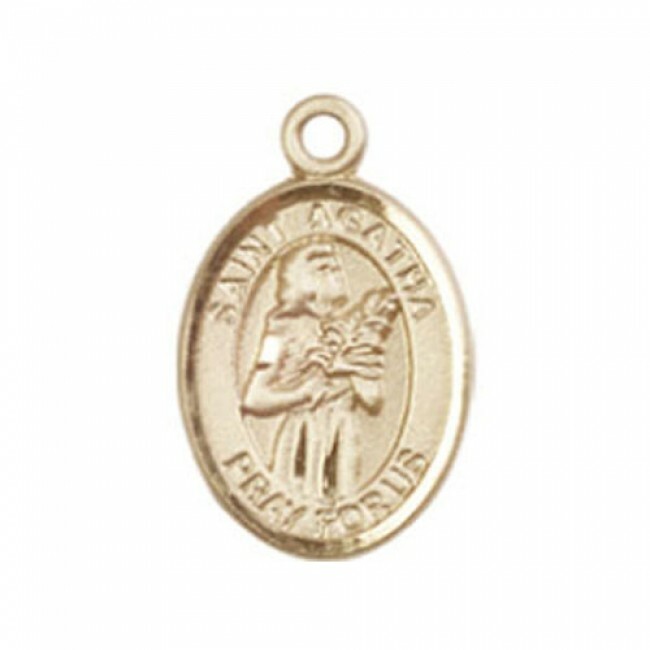 St. Agatha Pendant. The medal measures 1/2 x 1/4 and is available in Sterling Silver on a 18SS Chain, Gold Filled on a 18GF Chain and 14 Karat Gold - No Chain. 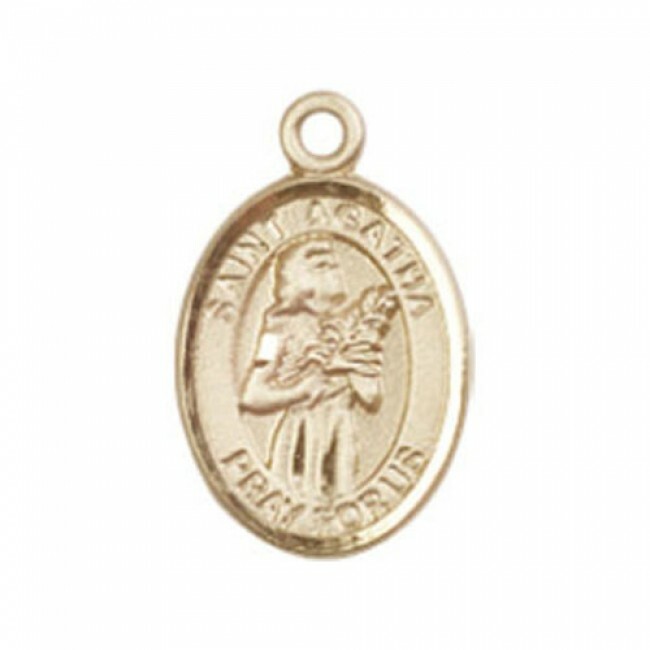 St. Agatha is the patron saint of Nurses/Breast Cancer.Here is little information about this St Agatha the martyr. 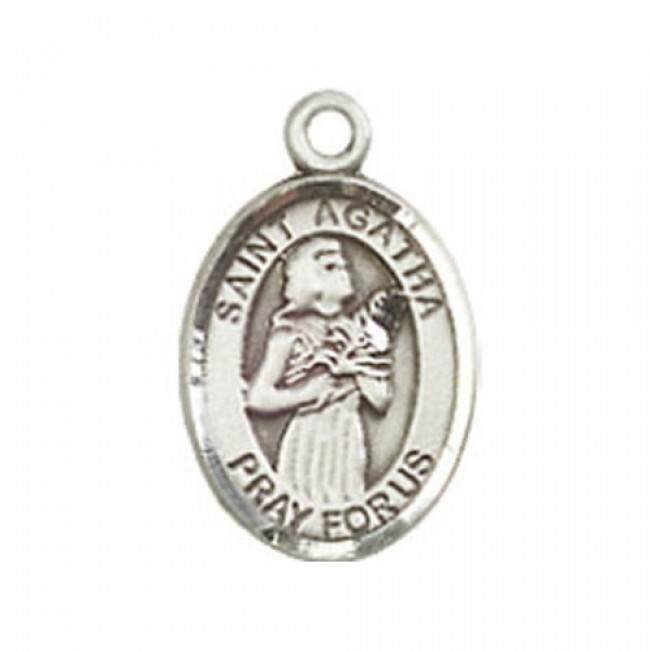 Agatha lived a life consecrated to God. Agatha refused to be handed over to a brothel and she refused to accept customers. She was beaten, imprisoned, tortured, her breasts were crushed and cut off. This is why she has become the patron saint of victims of breats cancer. Imprisoned further, then rolled on live coals, she was near death when an earthquake stuck. In the destruction, the magistrate's friend was crushed, and the magistrate fled. 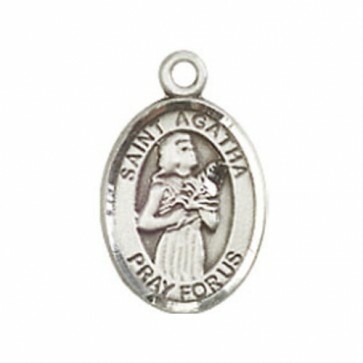 Agatha thanked God for an end to her pain, and died.